Levels of a substance called prostate specific antigen (PSA) is often high in men with prostate cancer. However, PSA can also be high with other prostate conditions. Since the PSA test became common, most prostate cancers are found before they cause symptoms. Prostate cancer treatment often depends on the stage of the cancer. How fast the cancer grows and how different it is from surrounding tissue helps determine the stage. Treatment may include surgery, radiation therapy, chemotherapy or control of hormones that affect the cancer. Normal cells grow and divide to form new cells as the body needs them. When normal cells grow old or get damaged, they die, and new cells take their place. Sometimes, this process goes wrong. New cells form when the body doesn't need them, and old or damaged cells don't die as they should. The buildup of extra cells often forms a mass of tissue called a growth or tumor. Prostate growths can be benign (not cancer) or malignant (cancer). Benign growths are not as harmful as malignant growths. Cancer cells can spread by breaking away from the prostate tumor. They enter blood vessels or lymph vessels, which branch into all the tissues of the body. The cancer cells can attach to other tissues and grow to form new tumors that may damage those tissues. The spread of cancer is called metastasis. See the Staging section for information about prostate cancer that has spread. No one knows the exact causes of prostate cancer. Doctors seldom know why one man develops prostate cancer and another doesn't. However, research has shown that men with certain risk factors are more likely than others to develop prostate cancer. A risk factor is something that may increase the chance of getting a disease. Race: Prostate cancer is more common among black men than white or Hispanic/Latino men. It's less common among Asian/Pacific Islander and American Indian/Alaska Native men. Certain genome changes: Researchers have found specific regions on certain chromosomes that are linked to the risk of prostate cancer. According to recent studies, if a man has a genetic change in one or more of these regions, the risk of prostate cancer may be increased. The risk increases with the number of genetic changes that are found. Also, other studies have shown an elevated risk of prostate cancer among men with changes in certain genes, such as BRCA1 and BRCA2. Having a risk factor doesn't mean that a man will develop prostate cancer. Most men who have risk factors never develop the disease. Many other possible risk factors are under study. For example, researchers have studied whether vasectomy (surgery to cut or tie off the tubes that carry sperm out of the testicles) may pose a risk, but most studies have found no increased risk. Also, most studies have shown that the chance of getting prostate cancer is not increased by tobacco or alcohol use, BPH, a sexually transmitted disease, obesity, a lack of exercise, or a diet high in animal fat or meat. Researchers continue to study these and other possible risk factors. Most often, these symptoms are not due to cancer. BPH, an infection, or another health problem may cause them. If you have any of these symptoms, please contact our offices so that your problems can be diagnosed and treated. If the biopsy shows that you have cancer, your doctor needs to learn the extent (stage) of the disease to help you choose the best treatment. Staging is a careful attempt to find out whether the tumor has invaded nearby tissues, whether the cancer has spread and, if so, to what parts of the body. Bone scan: The doctor injects a small amount of a radioactive substance into a blood vessel. It travels through the bloodstream and collects in the bones. A machine called a scanner detects and measures the radiation. The scanner makes pictures of the bones on a computer screen or on film. The pictures may show cancer that has spread to the bones. CT scan: An x-ray machine linked to a computer takes a series of detailed pictures of your pelvis or other parts of the body. Doctors use CT scans to look for prostate cancer that has spread to lymph nodes and other areas. You may receive contrast material by injection into a blood vessel in your arm or hand, or by enema. The contrast material makes abnormal areas easier to see. MRI: A strong magnet linked to a computer is used to make detailed pictures of areas inside your body. The doctor can view these pictures on a monitor and can print them on film. An MRI can show whether cancer has spread to lymph nodes or other areas. Sometimes contrast material makes abnormal areas show up more clearly on the picture. When prostate cancer spreads, it's often found in nearby lymph nodes. If cancer has reached these nodes, it also may have spread to other lymph nodes, the bones, or other organs. When cancer spreads from its original place to another part of the body, the new tumor has the same kind of abnormal cells and the same name as the primary tumor. For example, if prostate cancer spreads to bones, the cancer cells in the bones are actually prostate cancer cells. The disease is metastatic prostate cancer, not bone cancer. For that reason, it's treated as prostate cancer, not bone cancer. Doctors call the new tumor "distant" or metastatic disease. Men with prostate cancer have many treatment options. The treatment that's best for one man may not be best for another. The options include active surveillance, surgery, radiation therapy, hormone therapy, and chemotherapy. You may have a combination of treatments. The treatment that's right for you depends mainly on your age, the grade of the tumor (the Gleason score), the number of biopsy tissue samples that contain cancer cells, the stage of the cancer, your symptoms, and your general health. Your doctor can describe your treatment choices, the expected results of each, and the possible side effects. You and your doctor can work together to develop a treatment plan that meets your medical and personal needs. Active surveillance avoids or delays the side effects of surgery and radiation therapy, but this choice has risks. For some men, it may reduce the chance to control cancer before it spreads. Also, it may be harder to cope with surgery or radiation therapy when you're older. Surgery is an option for men with early (Stage I or II) prostate cancer. 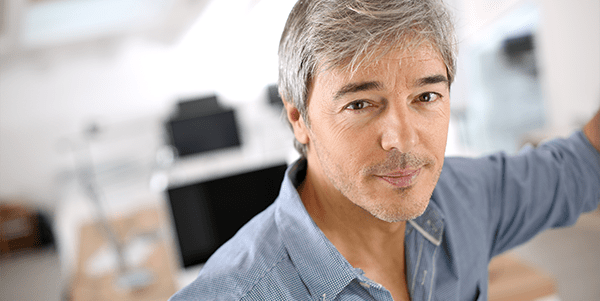 It's sometimes an option for men with Stage III or IV prostate cancer. The surgeon may remove the whole prostate or only part of it. Robotic Laparoscopic Surgery: The surgeon removes the entire prostate through small cuts. A laparoscope and a robot are used to help remove the prostate. The surgeon uses handles below a computer display to control the robot's arms. You may be uncomfortable for the first few days or weeks after surgery. However, medicine can help control the pain. Before surgery, you should discuss the plan for pain relief with your doctor or nurse. After surgery, your doctor can adjust the plan if you need more pain relief. The time it takes to heal after surgery is different for each man and depends on the type of surgery. You may be in the hospital for one to three days. After surgery, the urethra needs time to heal. You'll have a catheter. A catheter is a tube put through the urethra into the bladder to drain urine. You'll have the catheter for 5 days to 3 weeks. Your nurse or doctor will show you how to care for it. After surgery, some men may lose control of the flow of urine (urinary incontinence). Most men regain at least some bladder control after a few weeks. Surgery can damage the nerves around the prostate. Damaging these nerves can make a man impotent (unable to have an erection). In some cases, your surgeon can protect the nerves that control erection. But if you have a large tumor or a tumor that's very close to the nerves, surgery may cause impotence. Impotence can be permanent. You can talk with your doctor about medicine and other ways to help manage the sexual side effects of cancer treatment. Internal radiation (implant radiation or brachytherapy): The radiation comes from radioactive material usually contained in very small implants called seeds. Dozens of seeds are placed inside needles, and the needles are inserted into the prostate. The needles are removed, leaving the seeds behind. The seeds give off radiation for months. They don't need to be removed once the radiation is gone. Side effects depend mainly on the dose and type of radiation. You're likely to be very tired during radiation therapy, especially in the later weeks of treatment. Resting is important, but doctors usually advise patients to try to stay active, unless it leads to pain or other problems. If you have external radiation, you may have diarrhea or frequent and uncomfortable urination. Some men have lasting bowel or urinary problems. Your skin in the treated area may become red, dry, and tender. You may lose hair in the treated area. The hair may not grow back. Internal radiation therapy may cause incontinence. This side effect usually goes away. Both internal and external radiation can cause impotence. You can talk with your doctor about ways to help cope with this side effect. Chemotherapy uses drugs to kill cancer cells. The drugs for prostate cancer are usually given through a vein (intravenous). You may receive chemotherapy in a clinic, at the doctor's office, or at home. Some men need to stay in the hospital during treatment. Blood cells: When chemotherapy lowers the levels of healthy blood cells, you're more likely to get infections, bruise or bleed easily, and feel very weak and tired. Your health care team will check for low levels of blood cells. If your levels are low, your health care team may stop the chemotherapy for a while or reduce the dose of drug. There are also medicines that can help your body make new blood cells. Cells in hair roots: Chemotherapy may cause hair loss. If you lose your hair, it will grow back, but it may change in color and texture. Cells that line the digestive tract: Chemotherapy can cause a poor appetite, nausea and vomiting, or diarrhea. Your health care team can give you medicines and suggest other ways to help with these problems. Other side effects include shortness of breath and a problem with your body holding extra water. Your health care team can give you medicine to protect against too much water building up in the body. Also, chemotherapy may cause a skin rash, tingling or numbness in your hands and feet, and watery eyes. Your health care team can suggest ways to control many of these problems. Most go away when treatment ends.